Congestion persisted on several roads as orders came in late. 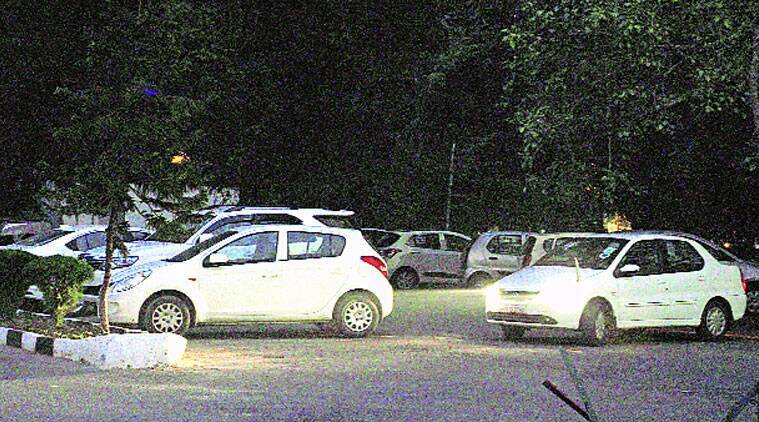 In view of the festival rush, the Chandigarh Administration allowed parking of vehicles in school grounds near markets, but traffic congestion persisted on several roads all day on Wednesday because the orders came late. Since government schools were open, the parking was allowed only after 2 pm. But by then, crowds were already out on the streets and vehicles parked haphazardly on roadsides, leading to traffic snarls. At many places, stalls had also been set up on the roadside, adding to the problem. The Education Department has allowed parking in the government model schools in Sectors 15, 18, 19, 20, 22, 26, 35, 40, 44, 45 and 58. Since many of these schools are away from the markets, the arrangement did not help relieve the congestion. The worst were the roads passing through Sectors 15, 19, 22, 26 and 45. In Sector 18, the situation was better as the government school is on the main road, close to the market and, therefore, convenient to shoppers. In Sector 17, all parking lots were full, and visitors had to use the parking space in front of the Municipal Corporation. In Sector 26, which attracted crowds of cracker buyers, people had parked cars on the main road. Although the traffic police challaned vehicles, and also towed away wrongly parked cars, it had little effect as there were too many vehicles parked on the roads all over the city. Similarly, the municipal corporation challaned those who had put up stalls in parking spaces, but the fine was only Rs 250 per pipe erected to support the stall which the shopkeepers did not mind paying.